With Comic-Con just over a week away, Marvel Studios is already getting the hype machine ready for the big pop culture convention. The first teaser poster for Captain America: The Winter Soldier has just arrived, and it's a bit foreboding. 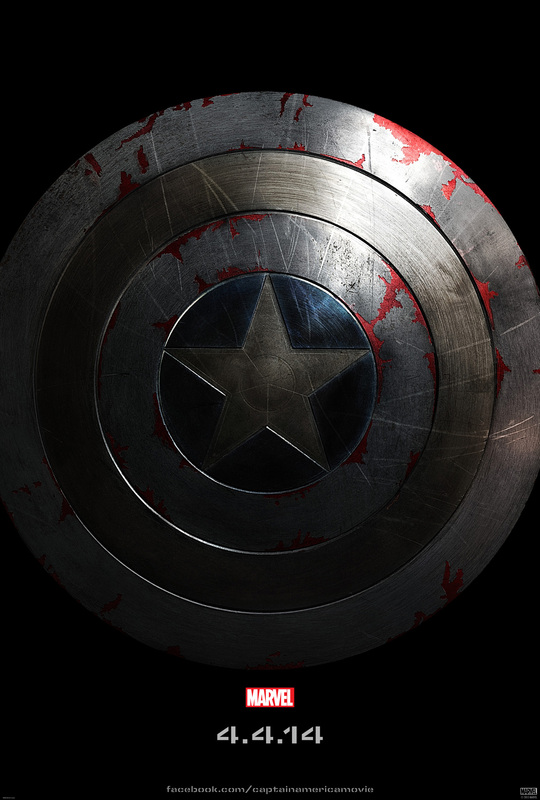 The simple image just shows Cap's iconic shield, but it's been almost completely stripped of any color. Just a fragment of red remains while a small circle of blue still occupies the center where the star resides. Could this be a hint of the suffering to come for Captain America (Chris Evans) or a bit of a metaphor as this villain from the past will likely cut Steve Rogers to his core? Look! Captain America: The Winter Soldier is directed by Anthony & Joe Russo ("Community" and "Arrested Development") with a script from Christopher Markus & Stephen McFeely (Captain America: The First Avenger, Thor: The Dark World). Chris Evans reprises his role as Captain America, still struggling to adjust to present day life, when a powerful new enemy emerges. Scarlett Johansson also returns in the film as S.H.I.E.L.D. agent Natasha Romanoff along with Anthony Mackie, Emily VanCamp, Robert Redford, Frank Grillo and Sebastian Stan. Disney releases the sequel in theaters next spring on April 4th, 2014. Good? Personally, I think the Winter Soldier story line would have made for a better third movie, but that does not mean I am not psyched for the sequel. That's a lot of 4's. Eh I just hope it's better than the first one and Iron Man 3 heck I wasn't even a huge fan of The Avengers as I know most people are I just want Phase 2 to be even bigger and better! And if Iron Man 3 is any indiacator on what's to come then I can honestly say I'm more nervous than excited. I want a better costume. The Man of Steel costume is the Captain America costume!! Am I the only one that finds Captain America the most boring Marvel hero ever. Do these ever become actual real posters seen at cinemas?